This particular Neon SRT-4 had such high cylinder temperatures in the combustion chamber, and detonation, that not only did the spark plug melt, and the cermic insulation break off, but the piston partially melted. Pics of the melted piston later! 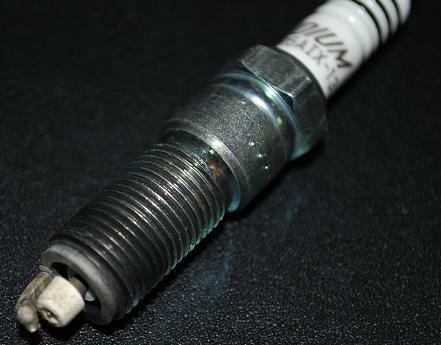 Heres a closeup of the spark plug. Notice how the electrode partially melted, causing a glob of electrode. 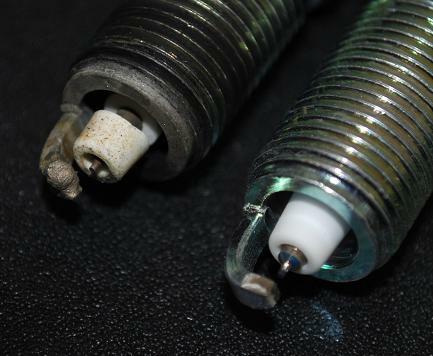 Compare the melted spark plug on the left to a brand new spark plug on the right. This is why its absolutely CRITICAL to check your Exhaust GAS TEMPERATURES, and to check your Air/Fuel mixture ratios when tuning. We put our SRT4 donor car on the dyno to see how well the engine is running..
NGK Iridium Spark Plugs for Neon/SRT4/Caliber/Cobalt – We’ve lowered the prices across the board! Installing an AEM UEGO Air/Fuel mixture gauge into your car ? DO NOT CUT THE WIRING between oxygen sensor and gauge! Are your Neon/SRT4/PT Cruiser spark plugs drenched in oil? Time to replace the valve cover gasket! Formula for disaster. Stock 2.0 Magnum Neon rods/pistons, lots of boost and lean air/fuel mixture ratio. Sad sight for first gen Neon enthusiasts. Crushed, melted down and then turned into Rebar. Going big turbo? Your cars tune is critical, along with monitoring with an air/fuel mixture ratio gauge.